I have decided to try a different method of going to Johor Bahru. 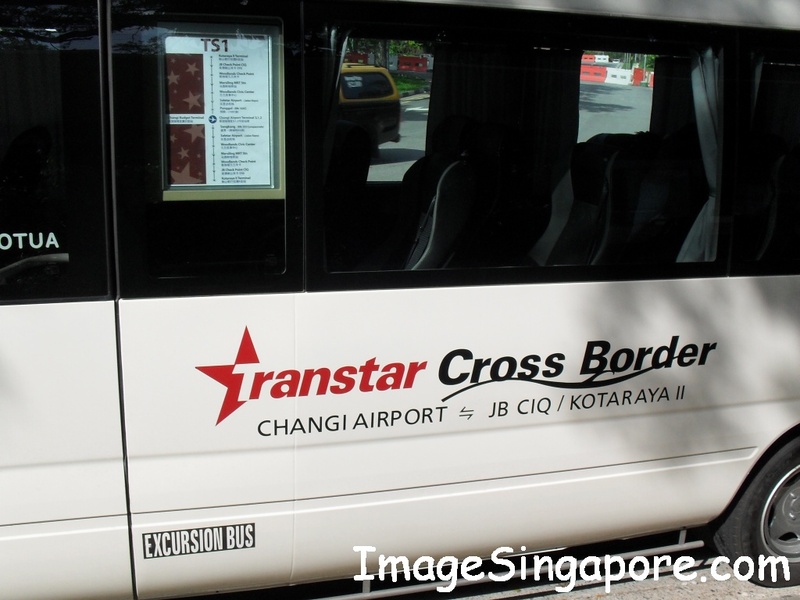 I took a train to Changi Airport and thereafter waited for the bus service that is operated by Transtar Travel. The bus frequency is on an hourly basis which in my opinion is a long wait. Preferably the bus frequency should be every 30 minutes. You can take this shuttle bus at either Terminal 1, 2, or 3 and the fare is S$7/- for a one way trip from Changi Airport to Johor Bahru. When the bus arrived, I saw that it is a mini passenger bus and the driver told me that the ezlink card machine was faulty. So I have to fork out cash of $7/- for this trip. 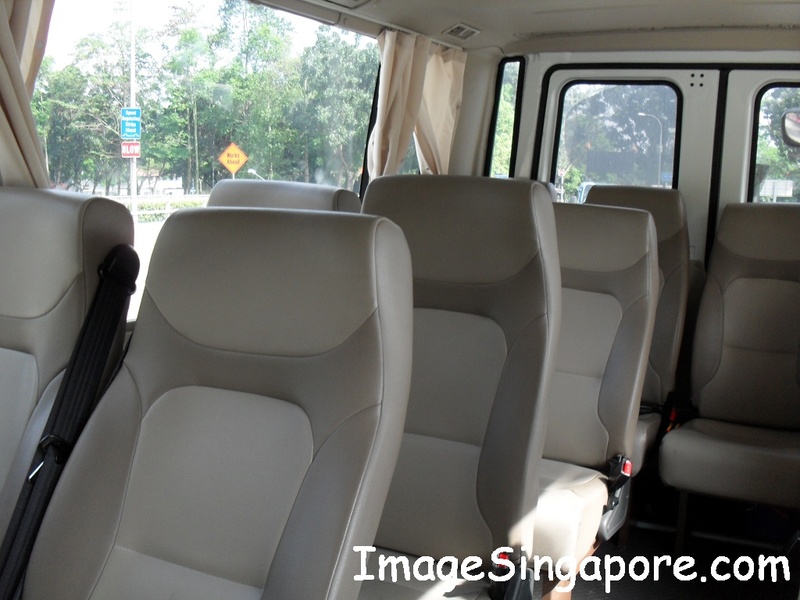 Though this is a small passenger bus, the seat was comfortable and the bus was clean. The ride was comfortable and only few passengers boarded this bus; so there are plenty of empty seats. 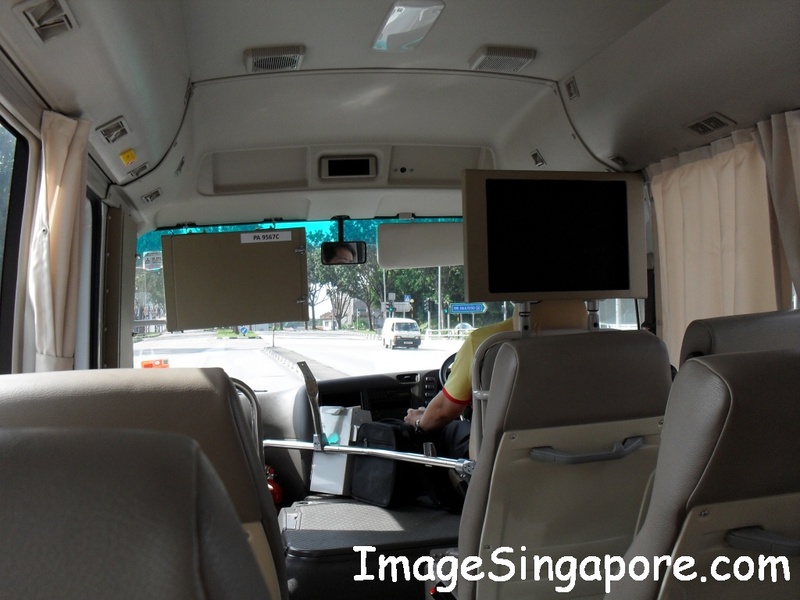 When we arrived at the Singapore checkpoint, the bus driver told us that he will be waiting at the parking lots which was right in front of the bus bay. I cleared the immigration quickly as it was not crowded during this weekday; and thereafter I saw the bus waiting for us at the parking lot. When all the passengers boarded the bus, the bus driver drove off to the Malaysian Checkpoint. The bus terminates its service at Kotaraya II in Johor Bahru. However as I was dropping off at the Malaysian Checkpoint, I did informed the driver not to wait for me. I was told by the driver that there is nothing much too see at the Kotaraya II terminal. The good news is that if you are taking this bus back to Changi Airport from the Johor Immigration Checkpoint, the fare is only RM$7/- which is very reasonable. My view is that this bus service provides a convenient and comfortable way to travel from Changi Airport to Johor Bahru. The fare of S$7/- is quite expensive. I think a more reasonable amount would be S$5/- from Changi Airport to Johor Bahru. Hopefully, they could also increased the frequency from every hour to every half an hour. 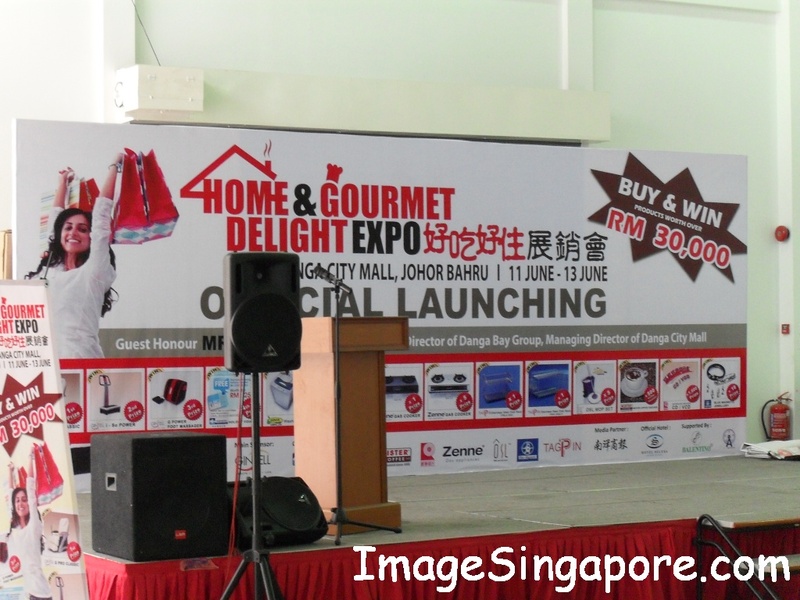 I wanted to visit the Home & Delight Expo at Danga City Mall in Johor Bahru. After getting my passport stamped, I asked the Immigration Officer whether he is aware of a free shuttle service to Danga City Mall. He looked at me with a smile and said that he was not aware that there was such a service. So I proceed to the Tourism Office of Malaysia, which is just a minute walk away. The staff at the Tourism Malaysia office told me that this shuttle service had already been discontinued. So I am wondering why this information has not been updated at the Danga City Mall website? Was it overlooked? I took a cab from City Square mall to Danga City Mall and it was a short journey and the cost was RM$6/- using the taxi meter. I went into the shopping mall and there was no sign of any exhibition on the atrium. I saw the atrium space was being utilized for a small skateboard event for kids. I went to the reception counter and asked the receptionist whom seems to be clueless about the Home & Delight Expo event. I was very disappointed but decided to browse the mall since I was already here. I saw that management of Danga City Mall had apparently transformed this mall into a IT center. There are many shops selling computers and computer related products. But the problem is, there are hardly any visitors on this Friday at about noon. As we all know, a mall success depends on large inflow of visitors and customers. Danga City Mall apparently has a problem here and appropriately this problem should be fixed quickly. But to be fair, this current transformation was far better that my previous visit to this mall a couple of months ago. You can read my previous blog on this mall if you wished. At least the management of this mall has managed to transform this mall into an IT center; where previously most of the shops in this mall were empty. 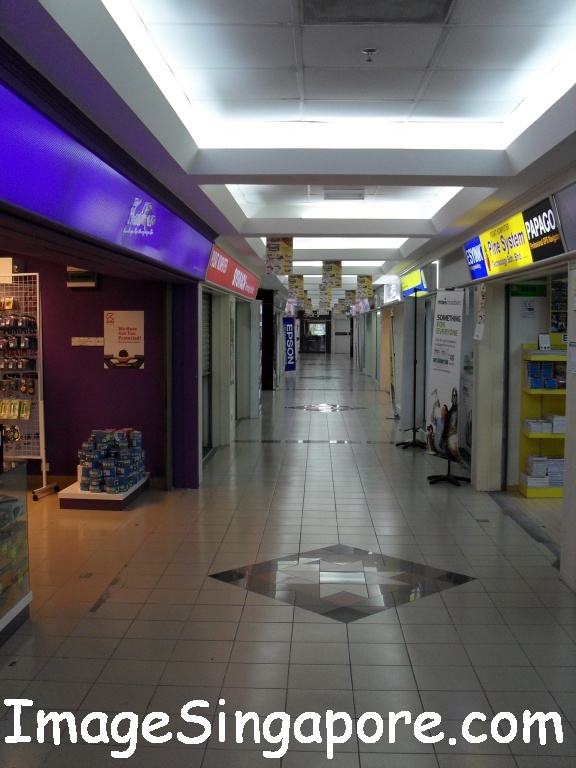 So the crucial thing now is for the mall to attract more customers and visitors – I hope they succeed. After browsing through the shops, I wanted to leave this place and go back to my hotel. I walked to the nearest exit – not the main exit and as I walked out, I saw a large signage at the next Annex building – thank goodness it was the Home & Delight Expo that I was looking for. Then I remember that at the Danga City Mall website, the information stated that the Expo will be held at Danga City Mall. I hope that the management could put it more precisely like this – Location: Danga City Mall – Annex Building. Also the management should put up signage at the main atrium and reception counter. This is to first tell the visitors that there is indeed an exhibition going on right now and then direct them to the exhibition hall. My first impression on this exhibition hall was that it was small and so there were limited companies participating in this Expo. 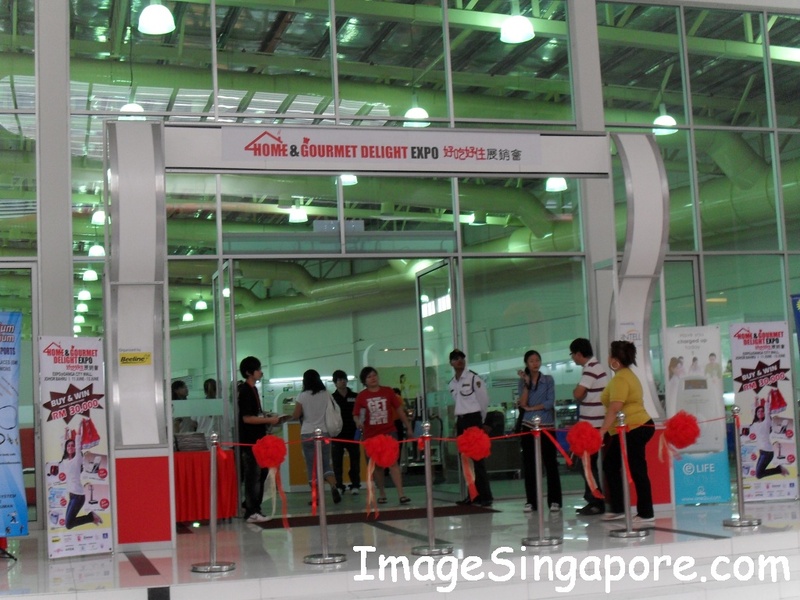 There were furniture, home appliances, food, home renovation, credit cards companies, home service and accessories, etc. I was there on the first day of this exhibition and there was only light traffic ( visitors ) at this event. 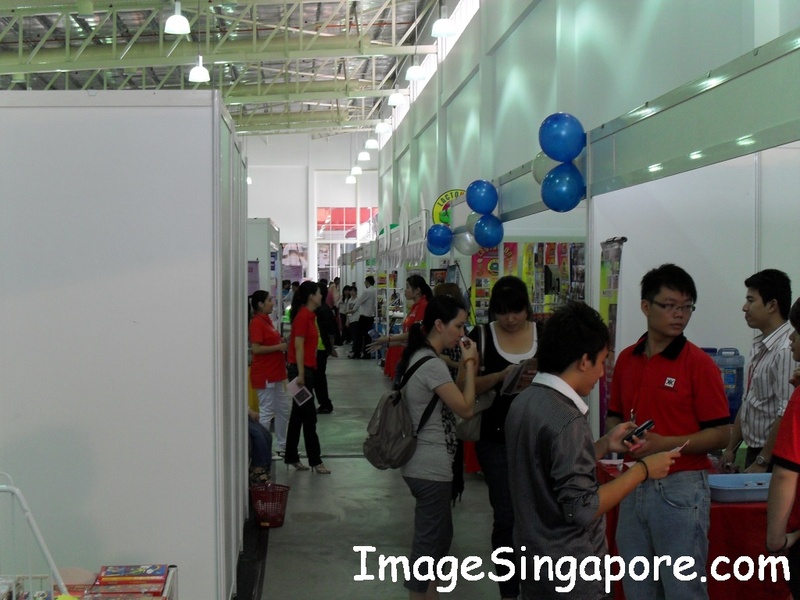 Many sales promoters at this event hall were busy handling out their brochures to me and trying to make a sale. A few promoters even followed me as I walked through the aisle. I think some of these promoters were definitely going overboard with their sales tactics. And I wonder why there were so many booths selling induction cookers? 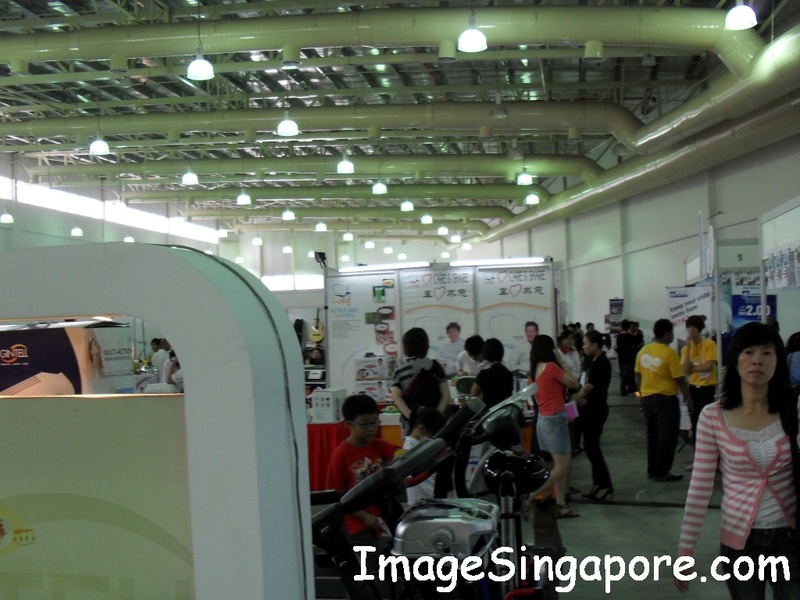 The promoters from different booths were demonstrating the benefits of induction cookers to the visitors. But I thought induction cooker is already a common item in the kitchen. I have an induction cooker at home and many consumers are already well informed about this product years ago. The food section of this event was good. I bought Mulberry jam, keropok ( fish crackers) and some other food products. I was also impressed by the booth selling Lactovida health products – The Power of Moringa. The staff at this booth was very patient in explaining to me the benefits of this herbal drink and also offered me a free sample cup. There was no hard selling tactics, just simple explanation of the benefits of Moringa. I was also impressed by the sales staff ( or I think he is the boss ) of the booth selling wrought iron gates. He was also patient in his explanation on all my queries regarding wrought iron gates. So the whole I have a great time at this exhibition event. I bought food products which seems to be quality products to me and took a lessons on some new products which I have never seen before. I am looking forward to more of this exhibition in future. I was carrying bags of products and was walking to the designated taxi stand outside the mall. There was not even one single taxi there but there were so many cars parking at the taxi stand. How can a taxi make its way here when there are so many cars parking at the taxi stand? I walked out to the front part of the building almost reaching the main road and then I was able to catch a cab back to my hotel.